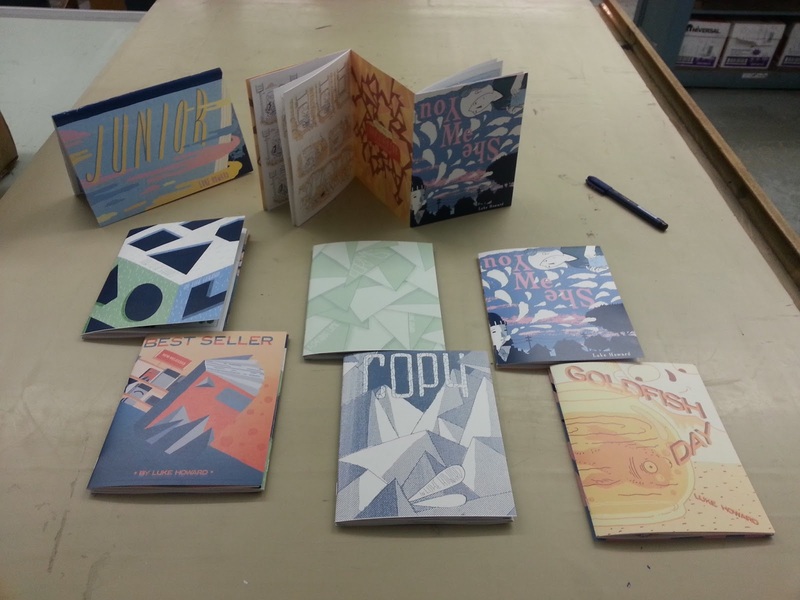 Here are the seven new stories I'll be debuting at CAKE on Saturday. 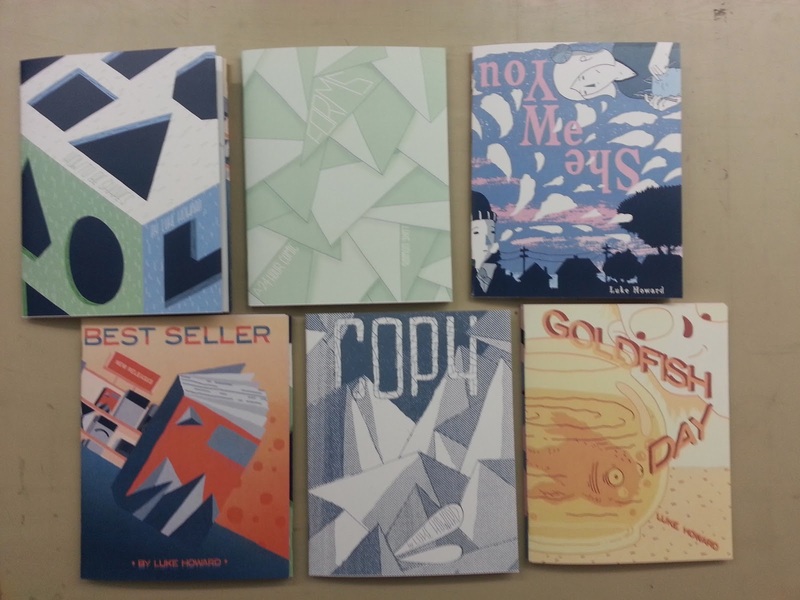 All of these stories were part of my graduating thesis this year and were originally assembled in a single anthology I called "How To Be Shapes." Did someone say "dosey doe"? 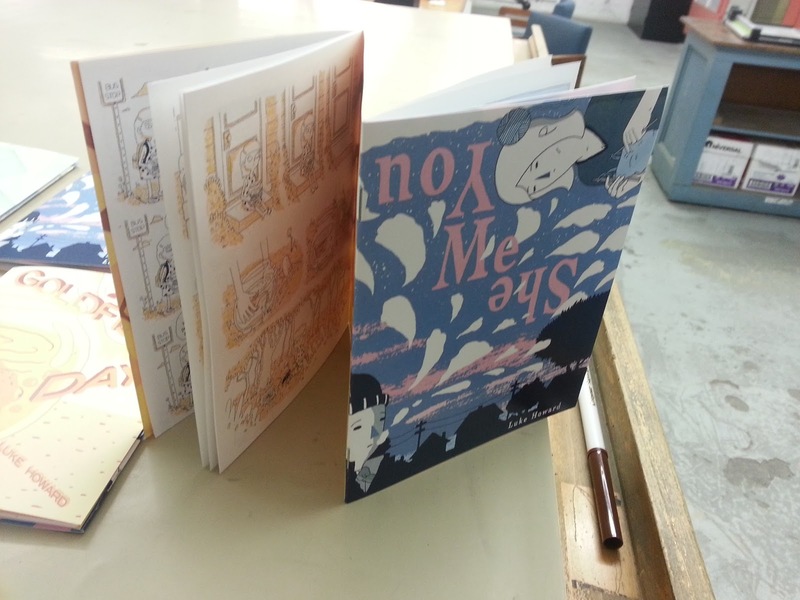 Here are three dosey doe books - two stories per book. Each book is full color. Dosey Doe #1: You. Me. She. - 12 pages & Goldfish Day - 16 pages. Dosey Doe #2: Forms - 24 pages & Copy - 12 pages. Dosey Doe #3: How To Be Shapes - 16 pages & Best Seller - 16 pages. If you're not familiar, a "Dosey Doe" book is when two separate books share a back cover - flip it one way and you're reading the first story, flip it the other way and you've got the second story. Reading's fun! 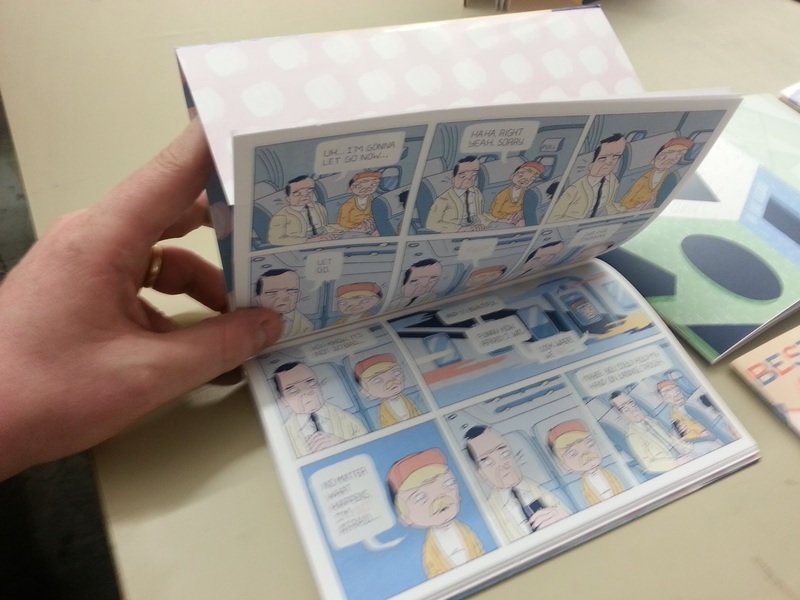 Finally I have a 52 page story called Junior - Full color with fancy french flaps, what more can you ask for? 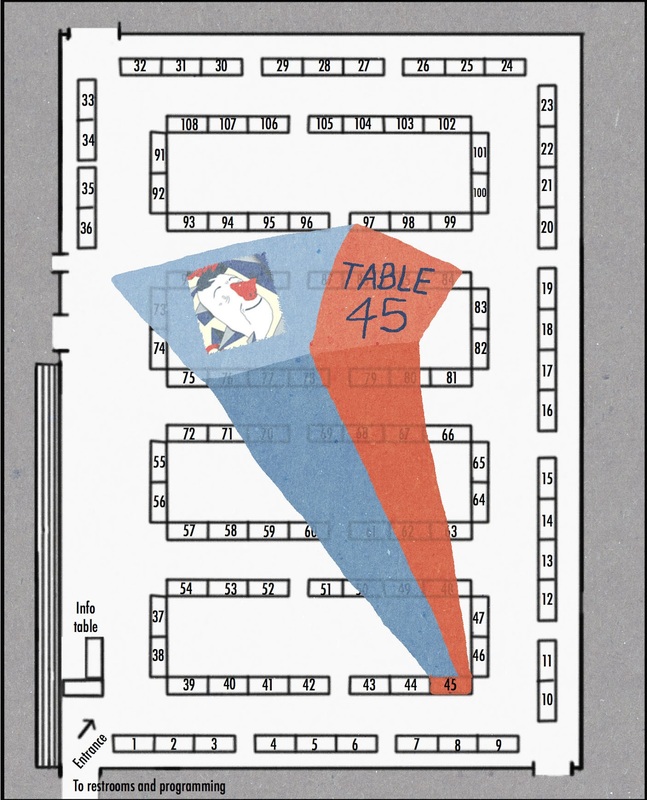 If you're in Chicago come down to Cake and find me at table 45. I'll be the one with the red hair and the glasses being held together by tape (seriously).